Instant message platform designed for ASU students. 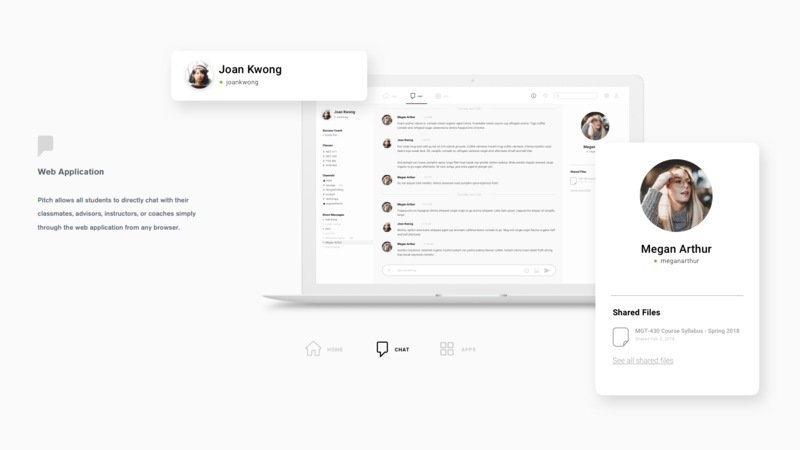 Pitch is an instant message platform for ASU students to communicate, collaborate and connect online. Besides the main chat function, this app was also intended to act as a portal providing various information such as class, instructor, college news etc to enhance students’ learning experience. Therefore, the main challenge for me was to create a design solution that can afford all these contents and provide meaningful information hierarchy to our users. 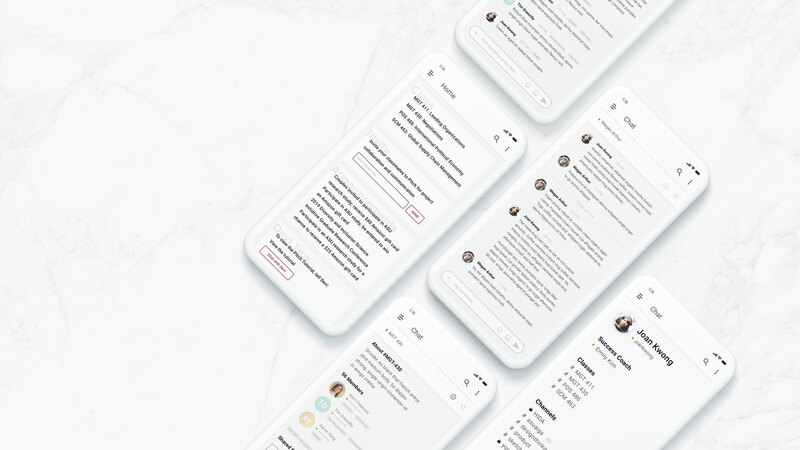 In order to find out what our user cares the most, we have conducted user testing and interviews during different design phases. 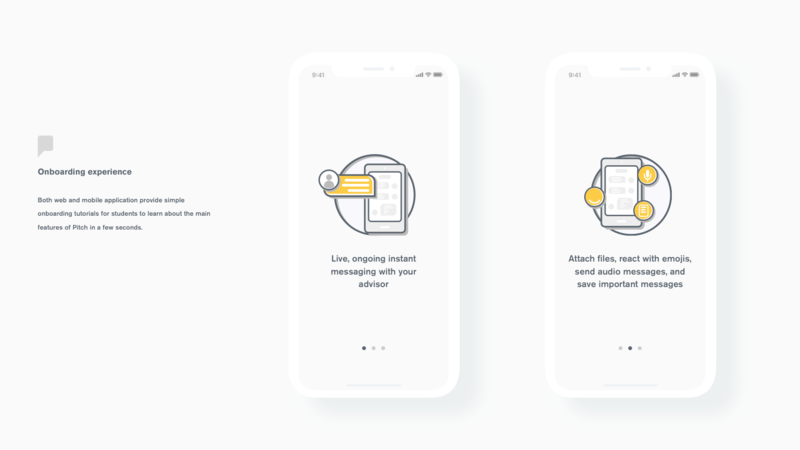 By doing user testing, I was able to finalize big questions such as wireframes and structures, and also small design decisions like the navigation position and channel priorities etc. I designed the identity of Pitch by combining letterform P and a chat bubble to imply the main function of this app. We also did user testing on various logo options and this design got the best feedback from students. A series of icon was also designed as components of the visual system. 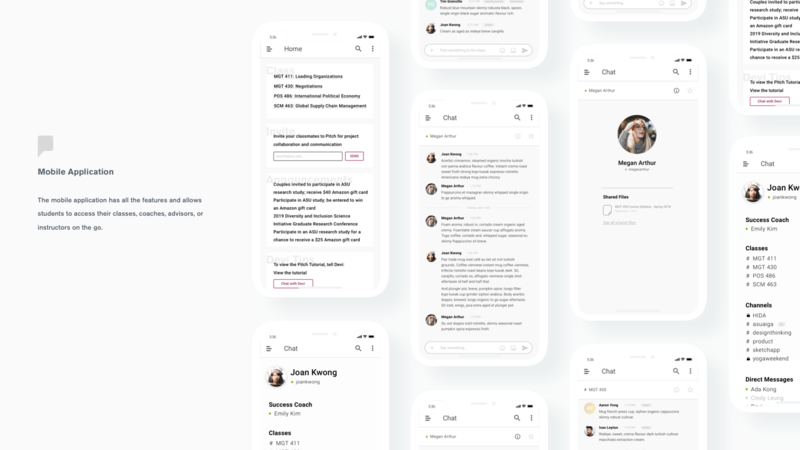 Given that the content itself is already so rich and interesting, the user interfaces I designed for Pitch were mainly taking a minimalism approach so that the platform can almost be a transparent container for all kinds of information. The project is currently still working in progress. Please contact me at irischu.mhz@gmail.com if you are interested in more details of the project.